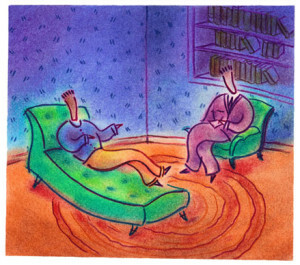 Therapy can benefit many people but is too often avoided. Some think they will be labeled as “crazy” by simply going to a therapist while others don’t understand exactly what goes on in the therapy room. On this edition of Psych Gumbo, we will demystify the therapy session by discussing popular forms of therapy, who can benefit from therapy and how to shop for a good therapist. Today’s special guest is Dr. Arjune Rama. Dr. Rama is a third year psychiatry resident at Yale School of Medicine. He also writes regularly about psychiatry in print and online. His work has been published in The New York Times “Motherlode” blog, Slate.com, and The New Haven Register among others. In addition to his clinical work he also teaches interviewing and writing skills to medical students in Yale’s psychiatry clerkship. 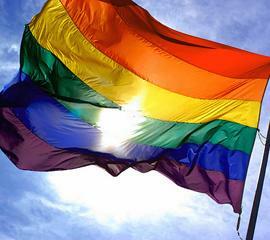 The LGBTQ community is a population that is faced with stigma and stereotypes. Because of this, those in this minority population are often more susceptible to mental health issues and are at higher risk for suicide. In fact, LGBTQ adults are 2.5x more likely than heterosexuals to have had a mental health disorder related to mood, anxiety or substance abuse, in their lifetime. Furthermore, the rates of suicide attempt among LGBTQ youth are 20-40% higher than among non-LGBTQ youth. In this week’s Psych Gumbo, Dr. Holly Peek discusses mental health issues of the LGBTQ community with special guest, Dr. Myo Thwin Myint. Dr. Myint is a physician with training in pediatrics, general psychiatry and child & adolescent psychiatry. Among others, his interests includes LGBTQ mental health. The doctors of Broadcast Thought provide expert consultation to the media and entertainment industries. Not only are they psychiatrists specializing in forensic, child adolescent, and adult psychiatry, they are also big fans of television, film, comic books, and pop culture. 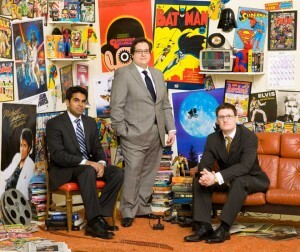 Self proclaimed “big kids,” they use their interests in pop culture to help educate the public about mental illness and decrease stigma by acting as creative consultants, subject matter experts, and co-producers of mental health content in pop culture. Dr. Holly Peek will be discussing the portrayal of mental health in the media and entertainment industry. She will be interviewing two expert psychiatrists in this field, Dr. Vasilis Pozios and Dr. Praveen Kambam, who specialize in ensuring the portrayal of mental health is both accurate and interesting. These doctors are also just back from presenting at Comic Con in San Diego and are ready to talk about it! There has been a lot of media coverage about the Boston Marathon bombings and the violent events that occurred during that week. Now that we are a few weeks away from the terrorist event, it’s important to realize what many victims of the attack may be experiencing emotionally. Dr. Holly Peek and Dr. Mordi Potash interview New Orleanian and Boston Marathon runner, Tim Phillips. Tim was at the second bomb site during the explosion and spent 40 agonizing minutes searching for loved ones after the attack. Hear his story and learn more about the emotional side of the Boston Marathon terrorist attack. This month’s episode on WTUL 91.5FM is about hallucinogenic drugs on Tulane’s campus. Recently, a very large amount of drugs, estimated in worth of tens of thousands of dollars, were confiscated from the Kappa Sigma Fraternity house. The drugs included MDMA, LSD, opium, and mushrooms, among others. This demonstrates the pervasiveness of hallucinogenic drugs on campus and how it has become part of the common “party culture” that we commonly see. We don’t want to tell people “don’t do drugs,” that’s someone else’s job! But we do want to explain the history of these drugs, what they are, and what positive or negative effects people should expect when choosing to take them. Click above to listen! Our first episode of Psych Gumbo for WTUL Radio, New Orleans on 91.5FM. Click above to listen!